To use bitKlavier on iOS, simply download bitKlavier onto your device from the app store. We now have regular installers for OSX (2.3.1) and Windows (2.3.1) that handle everything. Just download the one you need and run it! Sometimes OSX will complain about the installer and bitKlavier being from an “unknown developer;” just press option-click and choose “open” to override that. Also, sometimes Windows virus checkers will complain, and will have to be overridden. NOTE: OSX/Windows users who have their own custom galleries and upgrading from an earlier version of bitKlavier will need to copy the galleries from the old ~/Documents/bitKlavier resources/galleries folder to the new /Applications/bitKlavier/galleries folder. ALSO: if bitKlavier crashes on launch, try trashing the ~/Library/Application Support/bitKlavier.settings file; sometimes settings from an earlier version of bitKlavier can cause problems with a newer version. See the release notes for this version, and also for earlier versions. 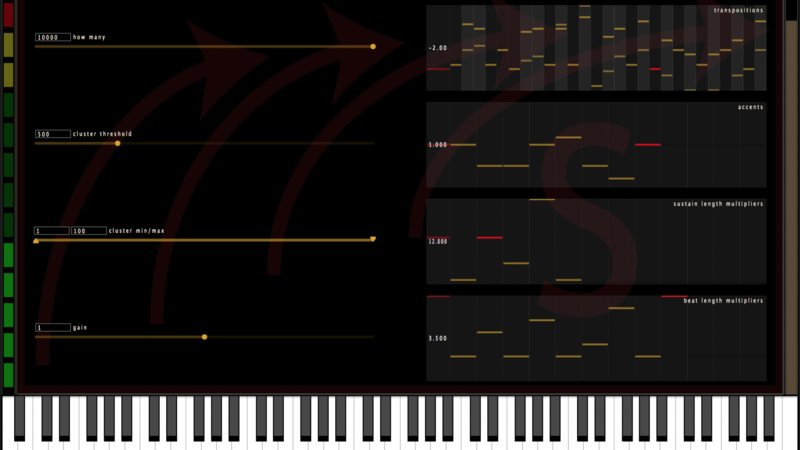 bitKlavier is an open-source project, created in C++ using JUCE. Developers interested in joining the project can of course download the source from the GitHub site, and don’t hesitate to contact us. An inexpensive 3-octave midi controller like this one will work great for a lot of bitKlavier functions. For many of the advanced pieces like the Nostalgic Synchronic etudes, a full 88 keys is necessary. M Audio digital pianos work nicely. The ideal situation is a keyboard with fully weighted keys which simulate playing a piano. Here are options from Roland and Casio. A USB cable to go out from the keyboard. Some keyboards come with one. An Apple iPad or iPhone. A “camera” adaptor from USB to lightning (iRig 3 octave keyboard already comes with lightning cable). Lightning is the input that all newer models have for charging. These adaptors can usually be found at Apple stores. Headphones or computer speakers. NOTE: in the newer iPhones without headphone jacks, we haven’t yet found a solution for sending audio to headphones or speakers, although you will be able to listen through the device itself. New iPads still have headphone jacks. Download the bitklavier app from the app store. USB cable from piano keyboard to computer. There are many variables here! bitKlavier can work in all sorts of situations, using cheap speakers, huge PA systems, studio monitors, guitar amplifiers, whatever; just keep in mind that the speakers are part of the instrument and will have a big impact on how it sounds and how well it works when playing with other instruments. One of our favorite systems for using in concert situations is a pair of Bose L1 compact speakers; the nice thing about these speakers is how natural they sound, and how well other musicians in the room can hear them when you play. However, they are not cheap! And don’t let availability of fancy expensive speakers get in your way. In fact, much of the fun with bitKlavier is found when just exploring it, improvising, playing some of the existing pieces, all by yourself, even through headphones.